Transfers to Bourg St Maurice are available from 3 different airports with Ben’s Bus. Our network of shared transfers include buses from Geneva Airport to Bourg, Grenoble Airport to Bourg and Lyon Airport to Bourg. Click on a logo below to find out more about our shared shuttle services from your airport. 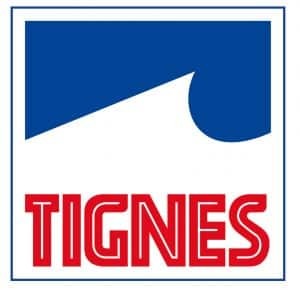 We also have direct shared shuttles from Geneva, Grenoble & Lyon Airports to Tignes, Val d’Isere, & St Foy. 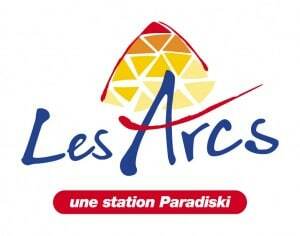 From Geneva Airport we have ski transfers to Les Arcs. We run Bourg St Maurice airport transfers on week-ends (and Fridays from Lyon Airport) during the 2018 / 2019 ski season. Our shared transfers operate from 8th December 2018 – 20th April 2019, depending on which airport you use. We have many shuttle buses operating each day and we generally use large coaches, which means cheaper fares and less environmental impact. 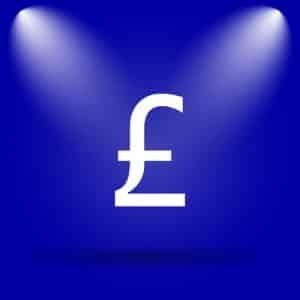 Our prices start from only £67.50pp Return and we have some great discounts for groups and Children. 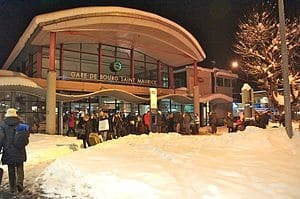 Our buses drop and pick up our customers from the main bus station in Bourg St Maurice, the “Gare Routiere”. You will see below the correct Bay Numbers to find our bus, depending on which airport you are flying out of. Please do note that we do sometimes have to use other bays so keep an eye out for our buses. – If you are taking our airport shuttle to Lyon Airport, we will drop you off at and pick you up from Bay Number 13. – If you are taking our ski transfer bus to Geneva or Grenoble Airports, we will drop you off at and pick you up from Bay Number 15. Bourg St Maurice is a size-able town of about 8,000 inhabitants. It sits the end of the Tarentaise valley floor in the Savoie departement of the Rhones Alpes region of France. 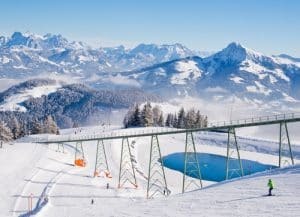 It is well connected by road (the N90 ends here) and its bus and train station serve as the transport hub for the surrounding ski resorts. The eurostar also terminates here. In normal driving conditions, the journey time to Bourg St Maurice is about 2 hours 45 minutes from Geneva Airport (145 km), Grenoble Airport (183 km) and Lyon Airport (188km) and about 1 hour 45 minutes from Chambery Airport (112 km). We allow enough time for bad weather and traffic congestion according to the date and time of day. Bourg St Maurice has many hotels, accommodation centres and restaurants as well as an interesting old town. It has a good selection of supermarkets, sports shops, souvenir shops and a McDonalds. The old town is well worth a quick visit if you have the time and the local Tourist Office website will have all the information you need, including points of interest and travel information. See the section below for more information or, if you are travelling to a resort listed below, click on the link. From Bourg St Maurice you have a variety of transport options to get you to your final destination. We have listed them below. Bourg St Maurice train station shares the same building as the bus station and together they are called the "Gare Routiere". This is where Ben's Bus will drop you. The eurostar, high speed trains (TGV) from Paris and Lyon and many regional trains all terminate here. Check out the SNCF website for more train information. Bourg St Maurice is the main transport hub for the area. 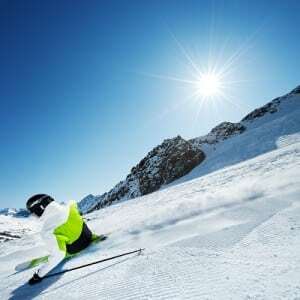 It has frequent services to the surrounding ski resorts at week-ends, including Val d'Isere, Tignes, Les Arcs, St Foy and La Rosiere. The Altibus website has information about local buses. Don't Forget! Ben's Bus runs a service from Geneva, Grenoble, Lyon & Chambery Airports to most of the ski resorts mentioned above. Use the our top menu to see if we have a service to the resort that interests you. There are usually many taxis hanging around the bus station in Bourg St Maurice. However, we would always advise booking taxis in advance as they can be very busy on transfer day. 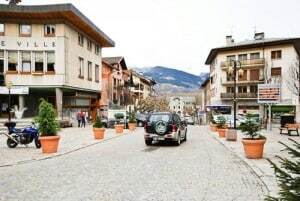 Once you book our service to Bourg St Maurice, we will give you details about how to get a 10% discount off private transfers with our local taxi partners. To Les Arcs: Depending on which Les Arcs resort you are going to, the 30km journey will take about 55 minutes and costs between 85€ - 115€ for up to 4 people. We would recommend taking the funicular if you can. Bourg St Maurice is a large town and the bus station is located near the centre, on the main road the goes through the town. It sits right next to the train station and together they are known as the "Gare Routiere". Depending on which airport you are going to, we usually pick up and drop off at Bay Numbers 13, 14 or 15. However, we may pick up from a different bay number so please be alert for any vehicle with a Ben's Bus sign in the windscreen. Please note that our bus information will not appear on the TV screens in the waiting area.